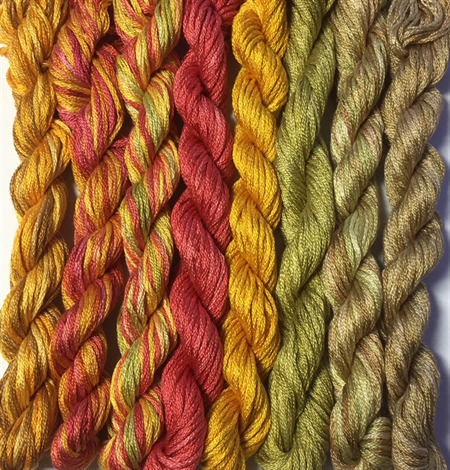 This pack includes 8 skeins of silk from our Premium Silk range in Autumn or Fall colours. Each skein is 6 stranded premium silk and is 15 metres in length. Buying the pack saves you over $8 on the individual skein price. These skeins are available to be purchased individually or by the hank.